If you can imagine it, DT Floral & Décor can create it. Large or small, we're here for all your design and planning needs. 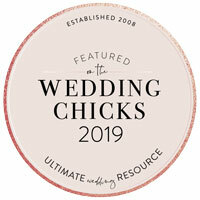 As the premiere wedding décor company in Toronto since 2001, DT Floral & Décor Inc. has brought the creative touch to hundreds of Weddings, Bar and Bat Mitzvahs, Corporate Events, Galas, Fundraisers, and Intimate occasions. 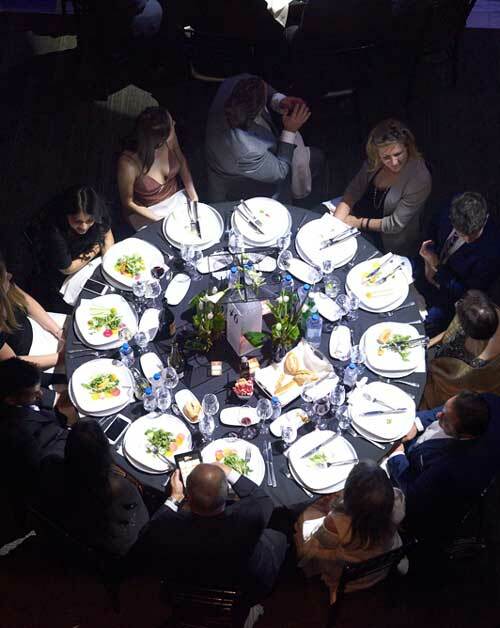 The company’s superiority in their event design and customer service has earned them the position as one of Canada’s Premiere Event Design companies – transforming client dreams into reality, one event at a time. DT Floral & Décor Inc. is an awarding winning floral design, décor, and event design company, with a well-known specialty for bringing their clients visions to life through creativity, innovation, and style. 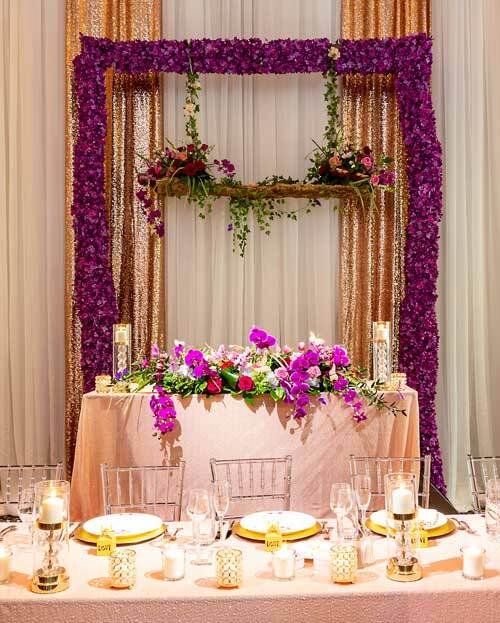 We are truly a one-stop-shop, from floral design, unique décor and an extensive inventory of event rental items. 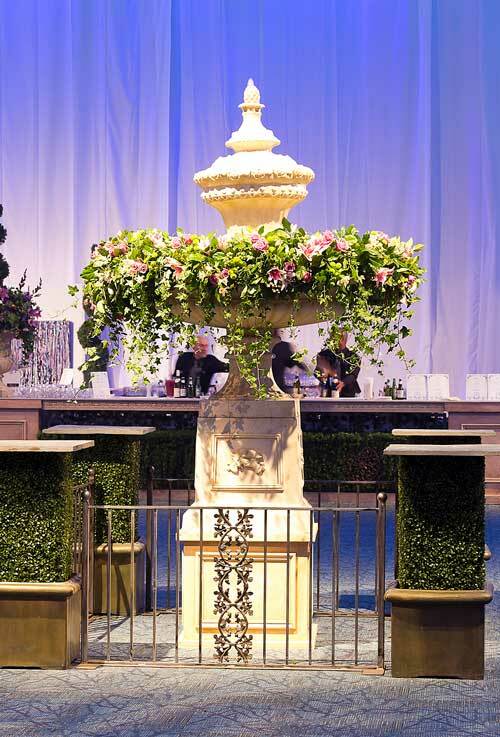 We pride ourselves on designing unique décor and event experiences for every client, ensuring that their experience with DT Floral & Décor Inc. is truly personal and authentic. The team has had the privilege of designing events for the grand opening of the Michael Lee-Chin Crystal at the Royal Ontario Museum (ROM), Toronto International Film Festival (TIFF), the Royal Gala Dinner for Queen Elizabeth’s Diamond Jubilee Tour, the launch of Star Wars with Hayden Christensen, Deloitte, Mercedes-Benz, Nike, KPMG, and Pfaff Porsche. Thank you once again for donating to this year’s ICRF Women of Action Luncheons. Your Flowers were magnificent and really helped make this event a success. We are all so appreciative of all your ongoing kindness and generous support.With sincere thanks always. We would like to express our heartfelt thanks for all that you did to make sure this year’s gala was a success! The décor was impeccable and we’re so thrilled you joined us again! What a lovely and rare synergy! THANK YOU THANK YOU THANK YOU for everything!! Words can’t begin to describe how blown away I was! Everything was perfect!! Adam and I are so incredibly appreciative!! Thank you for making our day so magical I will write that review right now Hope you are having a great summer!! Not all weddings are created equally. We had the privilege of designing a fantastically magical summer wedding for Rachel & Brett. Opting for a colourful, somewhat non-traditional theme, our team incorporated whimsical butterflies into vibrant centerpieces to highlight this unique wedding. Claudia & David’s Old World charm wedding at Eagles Nest Golf Club. A rustic aura for their special day, with an elegant flair. DT Floral & Décor. All Rights Reserved. Copyright 2019.